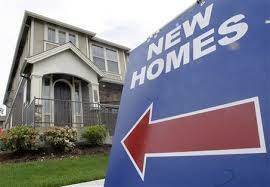 New-Home Sales Include New Incentives | The Law Office of Emil Fleysher, P.A. New-Home Sales Include New Incentives | The Law Office of Emil Fleysher, P.A. Builders are trying different tactics to lure buyers into purchasing new homes even after the federal government lowered FHA loans. As the real estate market has begun to cool down, many builders are throwing incentives to prospective buyers to see who will bite. Some are including pools or built-in barbecues while others are agreeing to cover up to $10,000 in closing costs or subsidize mortgage rates. From Sacramento, California to Orlando, Florida builders are doing their best to entice buyers by providing more freebies for new-homes. Throughout the country, new-home sales have been spotty, plummeting in June before making its come back in July and August. After investors pushed properties prices up and the FHA limit was lowered, builders are having a hard time selling new homes, even with the incentives. There are some contractors who are refusing to give any stimulus for home buyers, standing by the fact that a new home is alluring enough. The federal government cut the FHA loan size of 652 major U.S. counties this January to attract private capital back. Many of the counties where the FHA loan was lowered were cut below the median price of new-home values, making harder for new-homes to be sold and many buyers to purchase. However; existing home sales did increase because of the same FHA cuts.